Earlier this year, Drizzy flexed some Jordan sample heat on the gram (only to be shot down by the one and only Kenny G’s — A.K.A. The Perfect Pair’s — collection). Since then, there was speculation that Drake’s OVO Air Jordan 4 “Speckle” will release for the silhouettes 30th anniversary in 2019. But now with Drake moving into his sneaker free agency, this release is now up in the air. For those of you playing at home, yes, this Air Jordan 4 was actually a 1989 Sample that never released to the public. Drake pair did however have the addition of the OVO Owl logo on the inside of back pull tab. 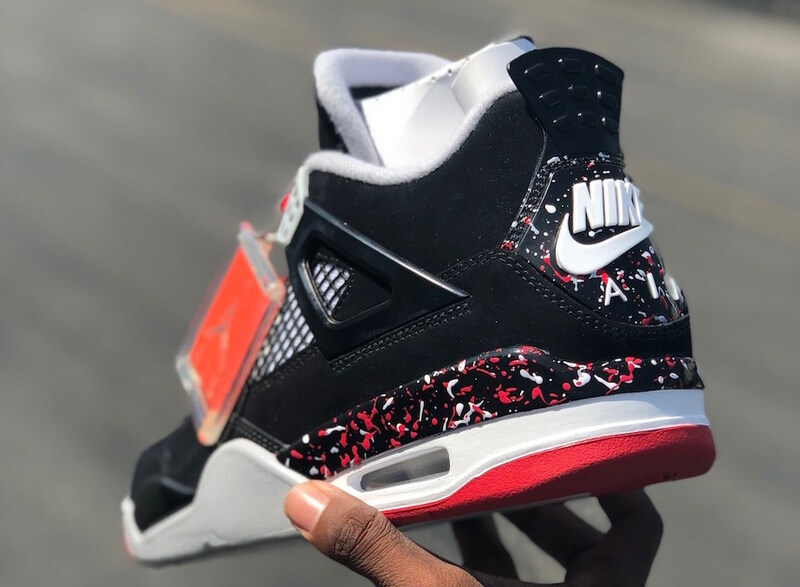 Knowing now what Jordan Brand did with the 30th anniversary White Cement 3, we couldn’t help but speculate that — perhaps — this may have been the scheduled “Bred” Jordan 4 release for All-Star weekend 2019. Perhaps, perhaps not. Only time will tell. Stay tuned for more deets.